The horrendous murder of Pakistani media star Qandeel Baloch by her brother in an apparent "honor killing" this week has garnered world attention for numerous reasons: its brutality, its senselessness, and the horrendous context of sexism and ruthlessly-enforced "honor" that can so frequently endanger women in Pakistan and elsewhere. Baloch appears to have been killed for her brash, sensual, outspoken presence on social media, which was considered reprehensible and threatening to her male relatives. But "honor killings" are neither rare nor, unfortunately, considered particularly newsworthy; the Honor-Based Violence Awareness Network estimates that up to 5000 honor killings occur annually, mainly in India and Pakistan, with the potential for many more, as the vast majority go unreported. TRIGGER WARNING: This article contains violence. 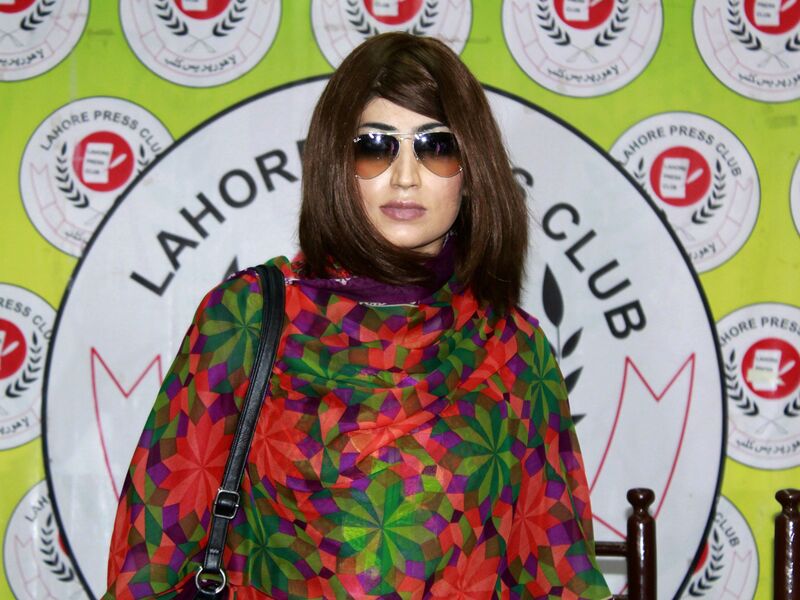 Sadly, Qandeel Baloch's case is hardly unique. The pattern of honor killings as they've increasingly gained media attention, often when they happen among transplanted communities in Western countries, is depressingly familiar: young women disobey traditional rules or attempt to control their own sexual destiny, the family rejects them, and then, even if the girls succumb to pressure and come back into the fold, they are killed. Many perpetrators are unapologetic, saying that the death of the "dishonored" person is necessary to maintain the standing and status of the family in general. A disobedient girl can be a very dangerous thing. Here are nine other instances of famous honor killings that prove that Qandeel Baloch is the latest tragic instance in a bitter and horrendous tradition. Sarwar's case was unusual in that it actually happened in the office of a lawyer who was attempting to extricate her from her situation. The daughter of a prominent Pakistani family, Sarwar was attempting to divorce her cousin, who was allegedly abusive, and marry an army officer. After her family refused its permission, she fled to a woman's shelter. Her mother gained entrance to the lawyer's office on the assurance that she'd brought the divorce papers, but instead entered the building accompanied by an assassin, who gunned Sarwar down in her chair. The family has not admitted responsibility, but have said they have "forgiven" Sarwar's killer. A full nine members of Khan's extended family were arrested and convicted of helping to plot her murder and the attempted murder of her then-husband, Emal Khan. The family had punished Ghazala after she admitted that she was having an intimate relationship with Emal prior to marriage; she managed to escape the family home, marry him, and attempt to set up a life. Her family reached out with the pretense of reconciliation and invited her to a meeting at a railway station, at which Ghazala was killed and Emal shot twice by Ghazala's brother Akhtar Abbas. Her father, brother, aunts, and uncles and three family friends were all found guilty and jailed. British Pakistani woman Samaira Nazir came into conflict with her family over her decision to marry her Afghan boyfriend, whom they believed was of the "wrong caste," instead of the suitors they had selected for her. The results were, as a lawyer described in the ensuing court case, "barbaric": Nazir was held down in her family home, surrounded by her family (including two small children), and stabbed 18 times by her brother and cousin, including three wounds to her neck. The two murderers were found guilty and sent to prison, but Nazir's father managed to flee the country to Pakistan, where he was alleged to have died. Sadia Sheikh's honor killing by her brother in 2007 made headlines across Belgium twice: once when it occurred, and again when the entire family were sentenced for it. Sheikh, a Belgian Pakistani, had refused a family-arranged marriage and moved in with a Belgian man, and her brother had shot her when she attempted to mend her relationship with her family. The perpetrator himself was given 15 years when found guilty in 2011, but Sheikh's mother and father, who were determined by the Belgian court to have ordered him to do it, got 20 and 25 years, and her sister received five. The death of two newlyweds in India created a landmark legal case: Manoj and Babli Banwala, who had run away to be married against the rules of their religious caste, were kidnapped and murdered by members of the bride's family. After first attempting to interfere by alleging that Manoj had kidnapped his wife Babli, her family interrupted their flight by hauling them off a bus, forcing Babli to consume pesticide, and hanging Manoj, whose body was then mutilated. A film has since been made relating to the tragedy, and in a first for India, all five family perpetrators were ordered executed in 2001, and the head of the religious caste council, who ordered the killing, was given life imprisonment. As with various other cases on this list, this honor killing came to worldwide attention because of its connection to a Western country: in this case, Australia and Sweden. The family of Pela Atroshi had emigrated to Sweden when she was a child, and Pela herself had repeated conflicts that led to her moving out. In 2008, however, she reconciled with them and accepted the offer of an arranged marriage, traveling with her family to Kurdistan to go through with it. Secretly, however, a collection of Atroshi relatives spread across the world, from Sweden to Australia, had orchestrated her trip to Kurdistan to kill her. Her sister Breen testified against the family and is now living in hiding, but only a few members of the family have been prosecuted for the crime, and her father and uncle were given probation in Iraq. Breen explained on television, “My uncles wanted to restore the family honor, but I in return had to restore the honor of Pela." The 2008 murder of 26-year-old Ahmet Yildiz was international news for the unusual, and tragic reason: that it may have been one of the first publicly recorded honor killings of a gay man. Having lived openly as a gay man and attended LGBT conferences in the U.S., Yildiz was shot several times while leaving his apartment in Turkey, and the New York Times reported at the time that his body was left unclaimed by his family. Yildiz's family reportedly wanted him to visit a doctor to be "cured" and then get married, and when he refused, they allegedly ordered his assassination. Two of his uncles have received sentences of life in prison for the murder. Look away now if you can't handle gruesomeness: Farzana was stoned to death in public by her own family outside a courthouse in Lahore as she attempted to testify in a court case. Her family had laid kidnapping charges against her new husband, Mohammad Iqbal, and Farzana, who was pregnant, had turned up to defend him; but her family, who disapproved of the marriage, killed her in full public view with bricks from a local construction site. "I killed my daughter as she had insulted all of our family by marrying a man without our consent, and I have no regret over it," her father was reported to have said. Chinoy has been one of the most vocally angry responders to Qandeel Baloch's death, telling al-Jazeera that "it's upon the lawmakers to punish these people. We need to start making examples of people. It appears it is very easy to kill a woman in this country — and you can walk off scot-free."